Thom Yorke's new album, 'Tomorrow's Modern Boxes', has been downloaded 116,000 times within the first 24 hours of going on sale. The eagerly-awaited new release was made available to the public on Friday (26.09.14) and is considered to be a pioneering release for the music industry as it was released via the download portal BitTorrent for $6 (£3.68). 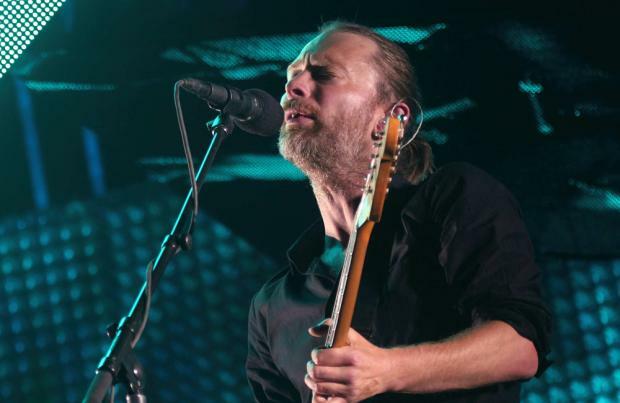 In a statement accompanying the launch of the album, Yorke - the 45-year-old lead singer of Radiohead - explained: "As an experiment we are using a new version of BitTorrent to distribute a new Thom Yorke record. "The new Torrent files have a pay gate to access a bundle of files. The files can be anything, but in this case is an album." He added: "It's an experiment to see if the mechanics of the system are something that the general public can get its head around. "If it works well it could be an effective way of handing some control of internet commerce back to people who are creating the work." The album, which can also be purchased on vinyl, may help to shape the future direction of the music industry.